Just recently, classrooms in Kona, Volcano, Laupahoehoe, Kau and Pahala received support. In addition to funding projects for grades six through twelve, the program has now expanded to support STEM projects for grades three through five. "Our local teachers are developing learning activities like modeling, analysis, design and engineering that show great promise to engage their students. We are supporting them by funding the materials and technology to bring those activities to life in their classrooms," ssaid TMT's Hawaii Community Affairs Manager Sandra Dawson. Twenty-eight (28) teachers have received funding for student learning since the beginning of the 2015-16 school year. Among other useful supplies, these classroom grants are funding National Geographic Space Building and Ocean Building kits, microscopes, compasses and laptops. Teachers can apply for THINK Fund at HCF STEM Classroom Grants to promote math and science through DonorsChoose.org. The latest round of classroom projects being supported is here. THINK Fund at HCF also funds college scholarships as well as grants to nonprofits for STEM Learning. Learn more here. The THINK Fund, established in 2014, and in its second year of funding from the Thirty Meter Telescope was launched to better prepare Hawaii Island students to master STEM and to become the workforce for higher paying science and technology jobs in Hawaii's 21st century economy. TMT's annual $1 million contribution to the Fund is administered by Hawaii Community Foundation ($750,000) and Pauahi Foundation ($250,000). 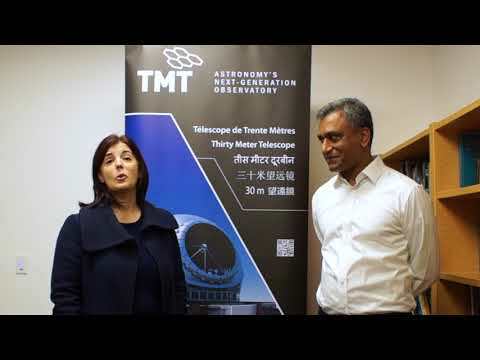 TMT will make the million dollar annual contribution to the THINK Fund throughout the lifetime of its lease on Maunakea.